Honiara is the capital city of Solomon Islands, administered as a provincial town on the northwestern coast of Guadalcanal Island. As of 2009 it had a population of 64,609 people. 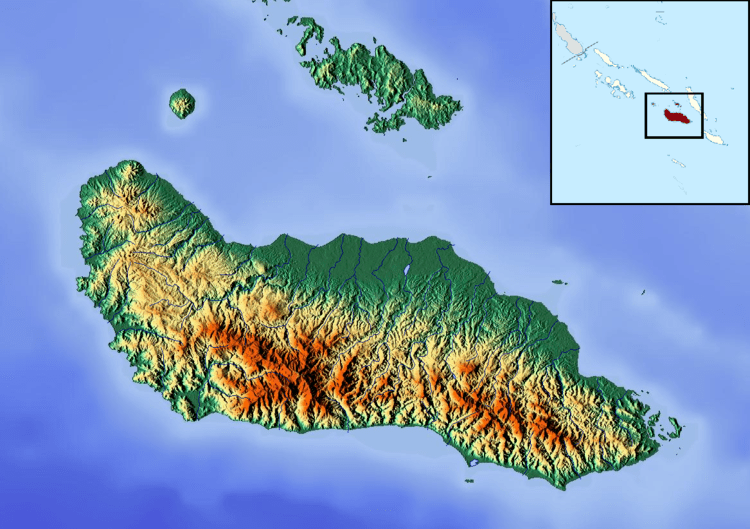 The city is served by Honiara International Airport and the sea port of Point Cruz, and lies along the Kukum Highway. Honiara contains the majority of the major government buildings and institutions of Solomon Islands. The National Parliament of Solomon Islands, Honiara Solomon Islands College of Higher Education, International School in Honiara and University of the South Pacific Solomon Islands are located in Honiara as is the national museum and Honiara Market. Politically Honiara is divided into three parliamentary constituencies, electing three of the 50 members of the National Parliament. These constituencies, East Honiara, Central Honiara and West Honiara, are three of only six constituencies in the country to have an electorate of over 10,000 people. Honiara is predominantly Christian and is served by the headquarters of the Church of the Province of Melanesia (Anglican), the Roman Catholic Archdiocese of Honiara, the South Seas Evangelical Church, the United Church, the Seventh-day Adventist Church and other Christian churches. The name Honiara derives from nagho ni ara which roughly translates as "place of the east wind" or "facing the southeast wind" in one of the Guadalcanal languages. The town has not been extensively documented and little detailed material exists on it. 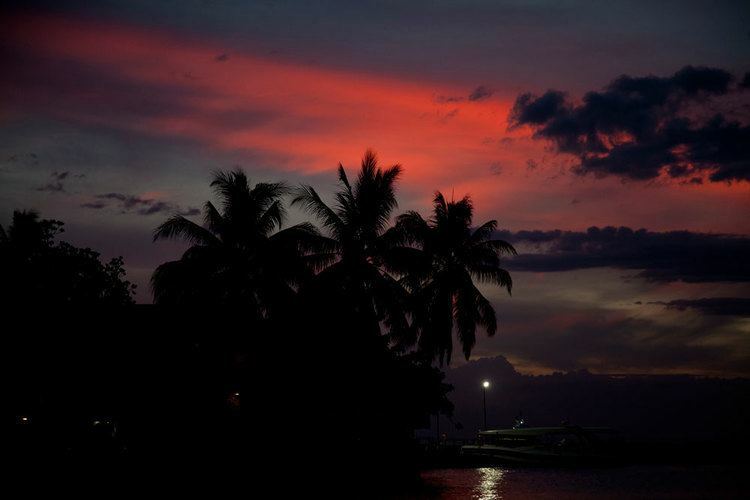 Honiara is located on the northwestern coast of the island of Guadalcanal and includes a sea port at Point Cruz. The Matanikau River flows through the town, past Chinatown, badly affected by the 2006 riot. 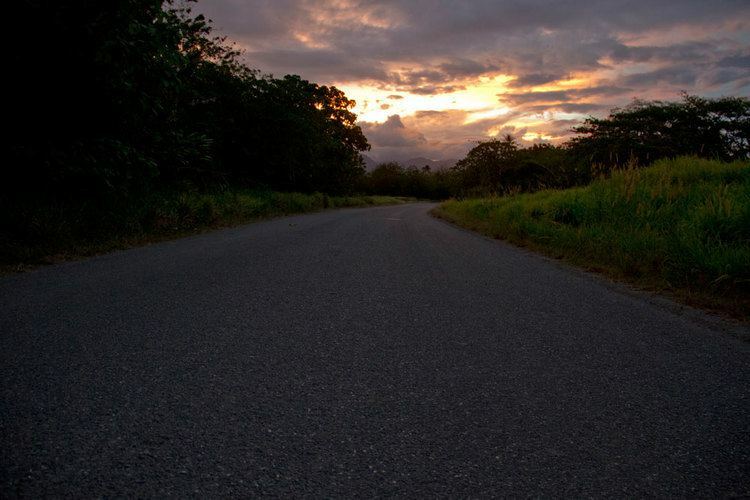 The town revolves around the Kukum Highway, which connects it with the Honiara International Airport (formerly known as Henderson Field) about 11 kilometres (6.8 mi) to the east of Honiara across the Lunga River. To the west of the town centre are the suburbs of White River and Tanaghai. The climate is tropical, more specifically a tropical rainforest climate, with an average daytime temperature of about 28 °C (82 °F). The water temperatures range between 26 °C (79 °F) and 29 °C (84 °F). Damper periods are predominant between November and April. The average amount of precipitation per year is about 2,000 millimetres (79 in) and thus somewhat lower than the average on the Solomon Islands as a whole (3,000 millimetres (120 in)). However, Honiara is subject to monsoons. Honiara developed economically at a much faster rate than other parts of Solomon Islands; during the 1960s and 1970s some two-thirds of the investment into economic development in the country went into developing the infrastructure of Honiara, despite the fact that at the time only some five percent of Solomon Islanders lived there. Like Tulagi, the town did not grow substantially as a result of industrialization. As Trevor Sofield says, "The shops and businesses in these centers served the needs of the government officials and expatriate businessmen, planters and traders. Honiara, like many other ex-colonial cities, still reflects the political, economic and cultural structure of its former metropolitan mentor much more than it does the national traits of Solomon Islands society." In 1974, Polynesian Dances of Bellona (Mungiki), which included suahongi form, forbidden to be performed by the Christian missionaries in the past, was revived and recorded in Honiara. Suahongi is performed at the conclusion of the ritual of sharing in a ceremony called manga’e, (performed by men) of the surplus harvest of fishing and garden crops. The dance is performed to highly rhythmic songs which are in the form of a “feature call and response, speech–song”, including the short history of the island of Bellona. The Melanesia Arts and Crafts Festival was held for the first time in Honaria in 1998 when five Melanesian Countries participated. The present trend in dancing among the youth of the Islands and in Honiara also is freestyle dancing, which has become integral to the night life and entertainment scene. These dance bears no resemblance to the traditional dance forms of the Solomon Islands, and are copied from the films You Got Served, the Step Up franchise and Stomp the Yard. Panpipe performances are held at the Mendana Hotel in Honiara every week. The famous Panpipe band is the Narasirato from Are’are in south Maleta. The Mao dancers from Kawara’ae, the Wasi Ka Nanara Pan Pipers, Tamure dancing, and Batikama Adventist bamboo band are other well known groups. Gilbertese dancing is also popular along with Panpipe music groups. Most of these dances are performed in many leading hotels of Honiara. The National Museum, located opposite the Mendana Hotel, has exhibits of traditional handicrafts and historical artifacts, particularly exhibits on archeology, currencies, arms, languages, personal ornaments, traditional music and dance, agricultural implements, life and natural environs of the country, fishing tools and tackles, and many publications and handicrafts. The Cultural Centre of the museum has a display of eight traditional houses, built in 1981, from the nine provinces of Solomon Islands. The museum hosted the first Melanesian Arts and Crafts festival in 1998, and also organizes dances on the festival stage opposite the museum. There is also a (155 millimetres (6.1 in) Japanese howitzer on display between the museum and the police station, which is called "Pistol Pete". It was used for bombarding the Henderson Airfield during the Guadalcanal fighting. On the opposite side of the police station is the Central Bank, which has a display of traditional currency. It also has some exquisite Rennellese wood carvings and paintings. The Cultural Centre behind the museum has exhibits of several traditional architectural styles. The National Art Gallery arranges painting exhibitions at the Old Government House, the former residence of the Governor General. A large collection of historical importance can be seen at the National Archives which is open to the public. The Botanical Gardens of the National Art Gallery is popular for afternoon strolls, and is noted for its orchids and shrubs. It houses a herbarium, a lily studded waterbody, well-planned walkways, and the Watapamu village, representing a typical village of the islands, which is named after the water pump located nearby. An Anthropology Museum is also located in Honiara, which has exhibits of recent origin.